I absolutely loved To Kill A Kingdom when I read it earlier this year, so when Beth @TheReader’sCorner tagged my in this tag I was exited to give it a go. You’re going on a vacation on a cruise boat for a week. Which book(s) would you pack to keep you entertained as you explore the seven seas? These four books had me on the edge of my seat from start to finish. They were dramatic and intense with so many plot twists, and although there were some slower-paced scenes (as every books needs), they never actually felt slow. Each plot was full of action, the narratives were complex, and the worlds well-imagined. I couldn’t turn the pages fast enough to find out what was going to happen next. ​You’re on the boat, and you start to hear your favourite song being played out from a nearby island. Which song would this be? What book do you associate with this song? Lear’s youngest daughter, Cordelia, is ‘on the run‘ (in a manner of speaking) after she’s banished and ‘the damage is already done‘. The lyrics below are also relevant to Cordelia and her father’s relationship. I doubt this song was written as a nod to King Lear, but that’s definitely what it reminds me of. You go to the side of the boat and notice a mermaid sat on the rocks. She seems pretty bored. And you know of loads of awesome books. Which one book do you always recommend to people without fail? The Book Thief is one of my go-to recommendations to give to people, because it’s just so unlike any other book I’ve ever read. The narrative is inspired and the characters are so real that we feel their emotions as keenly as if they were our own. To this day, I don’t think I’ve met anyone who didn’t like this book. ​The mermaid seems pretty happy with your suggestion, and swims off. You hear the song from a moment a go has stopped. And there doesn’t seem to many people about. Creepy, huh? What book gave you the chills whilst you were reading it? I read this early in 2018, and it was pretty intense. Part mystery, part thriller, there were some really grim moments and awful characters in this book that gave me the chills. The song picks up again. But this time, it doesn’t sound like the normal version you’re used to. It sounds eerie, and you can feel yourself walking towards the sound. You’re in a trance. Which book hooked you in from the very first page? This is a slightly unusual answer for me because I’m still reading The Poppy War, but when I first I was completely enthralled. Make no mistake, I’m still enthralled, but I put it to one side for a while so that I could finish other books and haven’t managed to pick it back up yet. I know that once I do, though, I’ll be hooked, once again, right through to the end. ​You’re climbing over the rails of the ocean, moving towards the sound of the singing. You jump into the ocean and a rush of cold hits you. What book has the biggest plot twist that you weren’t expecting? Easy Prey seemed like your standard high school novel, with your stereotypical jock, nerd, and goth characters who were all trying to get through their classes. But the twist toward the end of the book was so well placed and so surprising that I didn’t see it coming at all, but when I looked back through the book I could see where it had been secretly woven in. Which I loved. ​You begin swimming on instinct, nothing has come to get you yet. You feel like you’ve been swimming for hours. What’s the biggest book you’ve ever read? (Or the one that’s taken you the longest time to read). Unless I’m mistaken, A Clash of Kings is the longest book I’ve read. Weighing in at 911 pages, this giant tome took me quite a while to finish, though I did enjoy the character development a lot. Something grabs your leg. You start kicking. Which book deals with heavy/underdiscussed that always makes you want to put up a fight for righteousness? The Hate U Give is phenomenal in its discussion of racial profiling, police brutality against black people, and the Black Lives Matter movement. Angie Thomas uses Starr’s powerful voice to explore these issues in a way that is sensitive, but also hard-line and eye-opening. She creates a complex, captivating story, while also educating white people on the day-to-day hardships that black people face. This book made me want to fight for equality in any way I can. They’re pulling you under the water. Which book had you on the edge of your seat, unable to breathe as you turned to the next page? Ah Vengeful, one of my 2018 favourites. This book was nothing shy of phenomenal, and even now I still can’t believe how good it was. Sequels are notorious for not living up to the original, but Vengeful was as good as Vicious, if not better??? (I honestly can’t decide, they were both stunning.) Victoria Schwab created such an intense, heart-stopping plot that I wasn’t just on the edge of my seat, most of the time I was levitating in the air, upside down, screaming internally. ​You notice a glimpse of red. You notice a fish-like tail. It’s a siren. Which book would you recommend for people who love the ocean’s mythical creatures? 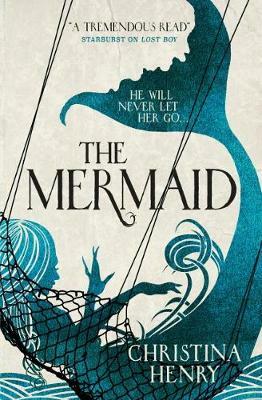 Although very different to To Kill a Kingdom, Christina Henry’s The Mermaid is also a retelling of the classic Little Mermaid tale. Amelia, a mermaid, is captured by a fisherman, but she transforms herself into a human and becomes his wife. One day her husband goes out fishing and doesn’t return. P. T. Barnum, an American museum owner, hears of the woman, and invites her to be one of the attractions at his museum. But although Amelia believes she can leave when she wishes, Barnum is set on keeping her there. There is an enormous screeching sound. The siren lets go. You float to the top of the ocean surface, gasping for air. You’re alive. You get onboard the boat, dry off and clutch your books to your chest. Which bookish friends would you call to share your experience with? Who would you believe you? Who should do this tag? This tag is so much fun, I really liked your answers. I really liked Children of Blood and Bone as well and I am so curious about the sequel. I still want to read The Poppy War, that book sounds really interesting and intense! I really want to read To Kill A Kingdom. It sounds like such an amazing book! Thank you for tagging me. 😀 I’ll do this tag, once I actually read the book.